LPS is proud to be a ResourceSmart school. 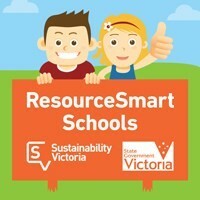 ResourceSmart schools is a Victorian Government initiative that helps schools benefit from embedding sustainability into everything they do. We are taking action to minimise waste, save energy and water, promote biodiversity and reduce greenhouse gas emissions. Our Green Team consists of student representative from year 3 to 6 and plan Resource Smart activities across the school.